It’s been 42 days. In fact, I marked today in my calendar; that’s how excited I was about Day 42. However, it has been clear pretty much all along that nothing exciting was going to happen on Day 42, because the 42 Days tomatoes are growing at basically exactly the same speed as all the other tomatoes. 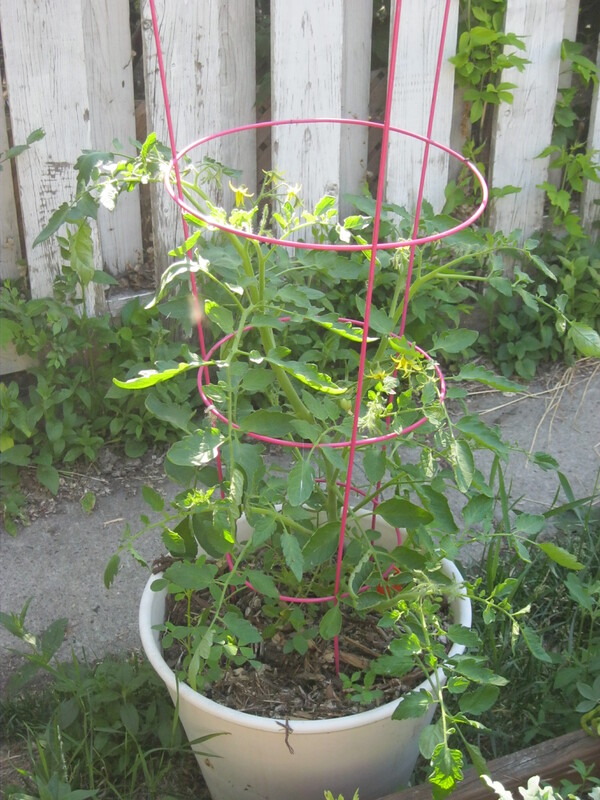 I have three familiar varieties of tomato growing in my garden this year: Brandywine, Sweet Million and Sweet Tumbler; plus the new 42 Days. All of them are basically doing equally well. 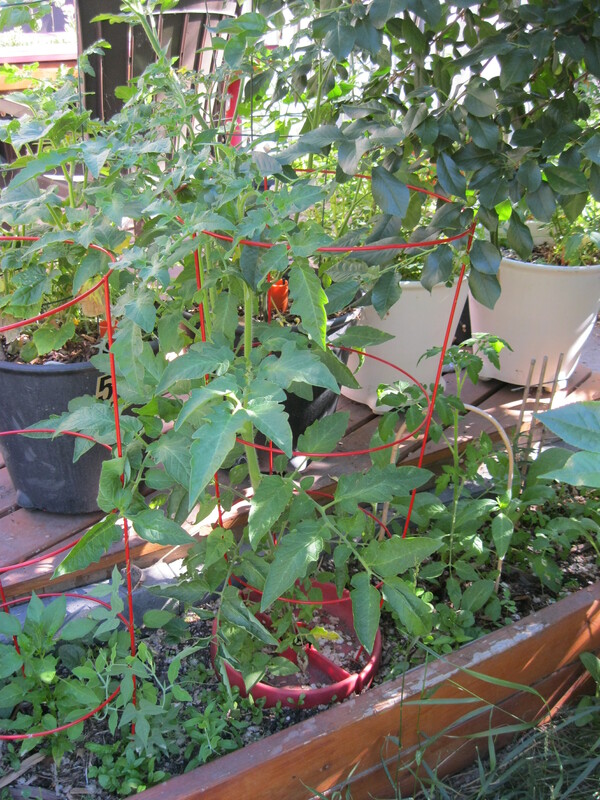 The Brandywine and 42 Days are both in bloom, and the plants are looking healthy (and benefitting from a very hot, dry spring), but I don’t have any baby tomatoes of any kind yet. I have these two friends who are amazing gardeners who brought me an organic Brandywine tomato growing in a yogurt container one Sunday when they came for brunch (probably in 2012? Or 2011?). That tomato (may it rest in peace) is the grandmother of all the Brandywines I grow now. I collect seed from them every year, and every year they grow more huge, muscly and impressive. Unfortunately for all other tomatoes, these Brandywines have a sort of mythic property in my mind. It’s because they came from such an impressive source (actually, I love my favourite pumpkins for the same reason). It’s because they’ve spent several years growing better and bigger and stronger, becoming perfectly suited to my yard. It’s because the plants themselves are formidable, muscling over their cages and sprawling their branches over everything. These tomatoes have personality. I am very attached to them. Objectively speaking, the 42 Days tomatoes are probably growing almost as well as those mythic Brandywines. The plants are a little smaller and more delicate, but that’s not a bad thing. They have lots of flowers and will probably grow nice tomatoes. Did they come from two my favourite gardeners? What’s their provenance? Are they living up to their name? Note: If you want to grow a self-aggrandizing tomato of your own next year, I ordered these seeds from Heritage Harvest Seed in Manitoba. *Actually, they might. We’ll see how the fruit turns out. But I don’t like their attitude.